4. Multi Currency in Kashflow does not support foreign currency bank accounts. I’ve been expecting a free online accounting software to pop up for a while now. The model is quite popular in CRM with Capsule and Zoho. But so far in finance I’ve only found free invoicing tools. 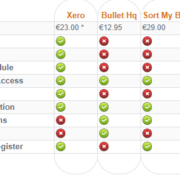 Wave Accounting has a nice simple user interface, is very easy to use and even manages to handle Irish VAT if set up correctly. Its an ideal solution for very small sole traders who are currently using excel (or worse!) and require a simple package. The great thing is if you keep your own books and records in good order in Wave you will pay less for your accountancy. 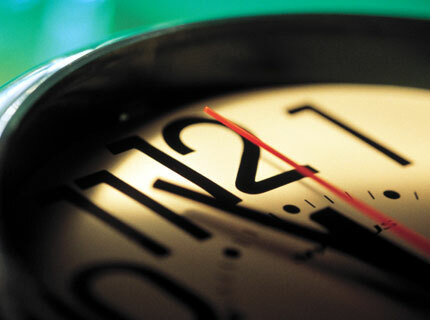 Are you wasting time on your accounts? 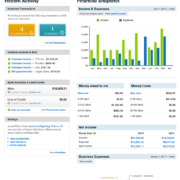 When I started out working for myself I was using a traditional accounting software package. I would key in all the clients bank transactions, purchase invoices, sales invoices ect. . and then start my reconciling. The process was laborious and had the potential for human error so everything had to be checked twice. By making those two small changes I can almost double the amount of work I do in a normal working day. This allows me to reduce the amount I charge clients and spend more time giving them quality business information and advice. 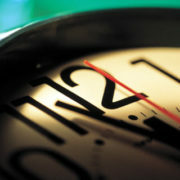 https://www.domybooks.ie/wp-content/uploads/2010/12/clock_ticking-1.jpg 320 430 admin https://www.domybooks.ie/wp-content/uploads/2017/10/logo.png admin2010-12-06 11:14:352018-02-13 06:27:53Are you wasting time on your accounts? 1. Its beautiful. The user interface is stunning. 2. 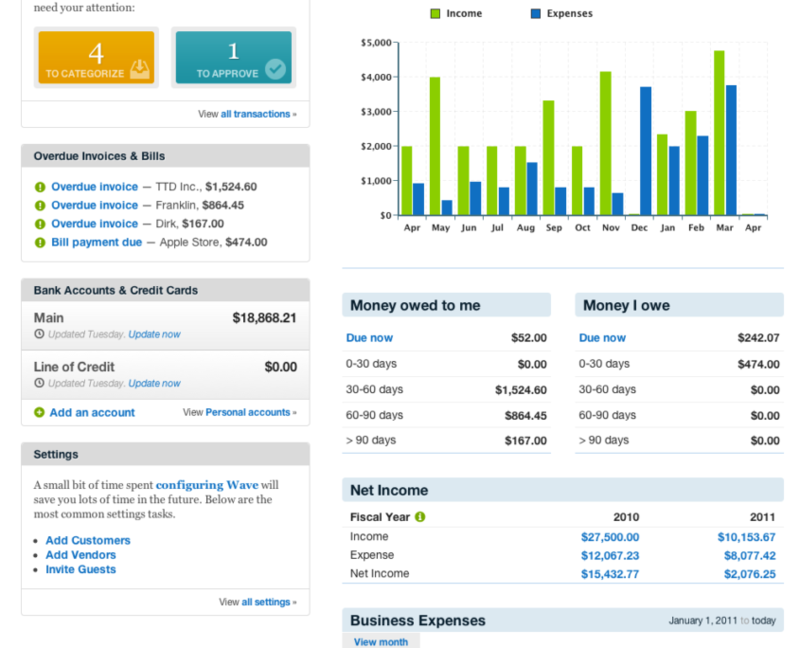 The dashboard is gives a great snapshot of your business without having to click into reports. 3. No back ups ever. Anyone with an onsite accounting package knows the heart ache of having to back up their data and remove it off site or pay for offsite remote back up. 4. Its priced well. The cost of Xero is often less than the cost of a remote offsite back up. 5. Automatic bank feeds. As I live in Ireland and its a bit cheeky to mention this as we haven’t got this feature yet but it is possible to import your statements from online banking and hopefully we get the feature soon. 6. No server costs. I have a number of clients who could dump their server and get a networked hard-disk for file storage if they changed to Xero. 7. 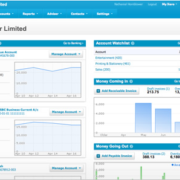 Its mobile- Xero looks great on your iPhone or Blackberrys browser. No app yet though. 8. It integrates really well with Freshbooks . 9. 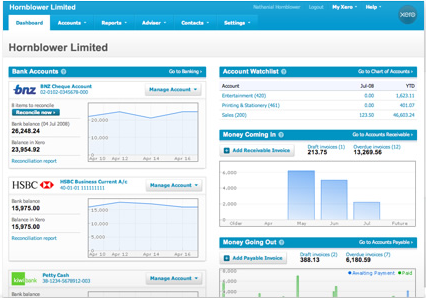 Your accountant and bookkeeper can access your accounts remotely. 10. Expense Claims – Staff can remotely enter their expense claims saving unnecessary paperwork and administration.